The central government of India will soon launch a new scheme to appreciate the state-wise performance of the local bodies. 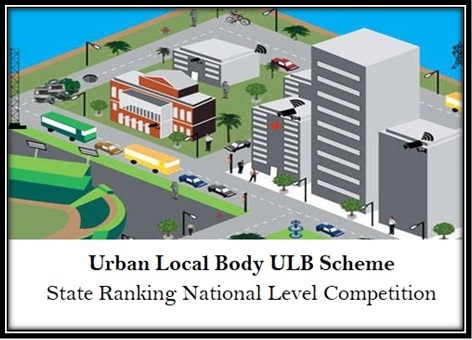 The scheme namely Urban Local Body Scheme is going to launch soon in the country under which the central government will rank different states on the basis of their performance in national level tasks. The scheme hasn’t been launched yet. It will soon be launched. After the successfully implementation of Smart City Scheme the government has decided to launch this scheme and conduct national level competition among the states to rank them. The Housing and Urban Development Department will supervise the scheme in all states level. Competition: Under this scheme national level competition between the states will be conducted by the central government of India. Based on their performances in the competitions they will be ranked. Objective: The scheme is launching with the aim is to identify the strength and weakness of the states. Also the government will provide financial subsidy and other assistance to the states according to their performance and ranking. Funding: The scheme will be funded by World Bank. The scheme will be implemented in the financial year 2018-19. World Bank will fund the entire scheme. Budget: There will be two phases in this scheme. $ 500 Million will be provided in the first phase. For the second phase the budget will be $ 1 Billion. Implementation: Just like Smart City Scheme, under Urban Local Body Scheme, states will have to develop urban areas in their respective states. Based on their development and performance the government will provide assistance and such. As mentioned there will be two phases in this scheme. Each phase has a specific number of states. In the first phase total 5 states will be competing with each other. No names of the states are mentioned yet. For these 5 states the allocated budget is $ 500 Million. In the second phase another 8 states will be competing with each other. They will be different states from the first phase. The allocated budget in this phase is $ 1 Billion. In the first phase there will be 5 states. Among these 5 states one North-East state must be included. There will be 3 stages of national level competitions that will be conducted by the central government under the scheme. All the participated states will have to perform the tasks. In the second phase there will be 8 states. These 8 states are said to be less developing than the first 5 states. The government will choose weaker states in the second phase so that they can get more incentives or assistance from the government. Many of the states have objected on the 50% AMRUT execution part. According to them the weight on the number of AMRUT Town must not be more than 20% and the rest of the execution and such must get weight of 80%. The reason is that many states are yet to establish AMRUT scheme in large section. The authority still hasn’t commented on this objection. The preparation for participating in the scheme has started in all the states. As of now no other information has come out regarding the scheme launch and such.